If you have ever looked at the price tag on designer eyewear at your doctor’s office, or local retailer, you know that these frames can be quite expensive. That isn’t mentioning that you still have to purchase lenses with your frames. For years my family would always go to the same eye doctor, get an eye exam, picked out my designer glasses (The frame choices were very limited), paid A LOT of money, and waited for my glasses. This was always the same routine every year, but I didn’t know that there were better alternatives. Such as the internet, with the internet, there is no shortage of online retailers that sell designer glasses, and many times at a much better cost than your local retailers. For the last few years whenever I would find a frame I liked at my local retailer, I would always take a note of the brand along with the model number, and I would go search online. Many times I would be able to find the frame at a fraction of the price it would’ve cost me at my local retailer. But with anything on the internet there are retailers that may not be selling authentic products or may have a reputation for messing up orders, therefore we have gathered together a list of reputable online retailers that carry designer eyewear so you can shop worry-free knowing you’re getting your prescription eyewear from a trusted source. Below you will find a list of things you should have ready, as well as the best places to buy designer prescription glasses online. 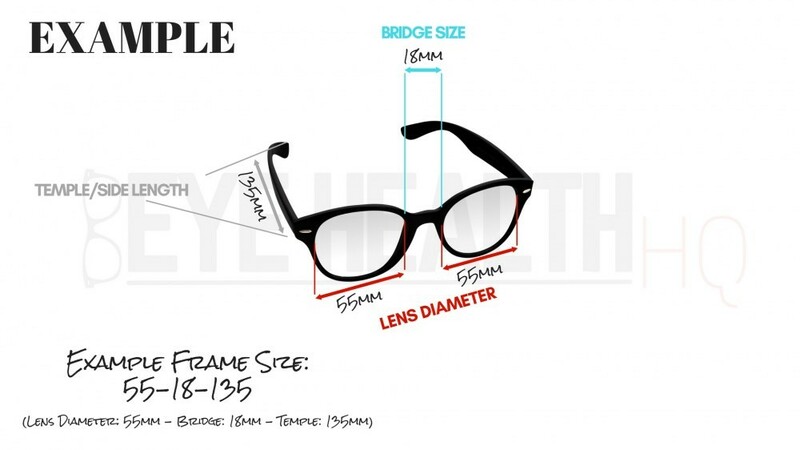 Understand Frame Measurements – Understanding how frame measurements work is important when purchasing your glasses on the internet. If you wear glasses already, you might be able to find the measurement listed on the temple of the glasses. If not my best recommendation is to go into one of your local optical shops and try on glasses until you find one that fits and take a note of the size on the tag. The first measurement is the measurement of one lens horizontally in millimeters, the second measurement is the distance between the two lenses in millimeters, and the last measurement is the length of the temple in millimeters. See our example below. PD Measurement – This is an important measurement that you will need to know in order to order your glasses on the internet. This measurement is the distance between your eyes from the center of one pupil to the other pupil in millimeters. This measurement can at times be found on your prescription if it is not listed on your prescription the easiest way to obtain this measurement is to call your eye doctor’s office where you did your eye exam. If for whatever reason you are not able to get it from your doctor’s office you can always have a friend or family member take the measurement for you. Check out the video below from Zenni Optical on how to measure your PD. Prescription – In order to order your glasses on the internet, you will need a current copy of your prescription. If you have your prescription ready to send in, it cuts out the time that it would usually take for the retailer to verify your prescription with your doctor’s office. Also, make sure that your prescription is still current if the online retailer is a reputable one they will not accept an expired prescription. SmartBuyGlasses.com is our #1 pick when it comes to buying designer eyewear online. They are a company that started in Australia and today is a worldwide company that ships out of 5 locations including Austrailia, United States, Europe, and Asia. SmartBuyGlasses offers original, affordable and guaranteed authentic eyewear carrying over 180 brands, and over 80,000 products. They carry frames from top designer brands including Ray-Ban, Burberry, Giorgio Armani, Versace and much more. All of their products come along with a 100-day money back guarantee for any reason and a 2-year warranty on your frames in case of any manufacturer defects. If you have vision insurance, SmartBuyGlasses does not directly bill with vision insurance providers, however, you may request an invoice to submit to your insurance provider for reimbursement. If you have a Flexible Spending Account (FSA) or a Health Savings Account (HSA) and you have a card that is affiliated with Visa or MasterCard, you may use your card on their website just as you would use a normal credit or debit card. Visit SmartBuyGlasses and check out their selection. Coastal is one of the largest online contact lens retailers in North America as well as being one of the largest sellers of prescription eyeglasses in the world. Their parent company is no other than French lens manufacturer, Essilor. They currently sell and ship prescription eyewear to over 200 countries worldwide. Coastal offers a wide variety of designer eyewear, carrying over 100 designer brands that include Vogue, Michael Kors, Nike, Gucci, Fendi, and much more. Coastal offers a 14-day no questions asked return policy, and a 365-day warranty on the frames for any manufacturer defects. Coastal is an out-of-network provider for most insurances and do not bill directly with any vision insurance providers, however, you may request an invoice to submit to your insurance provider for reimbursement. If you have FSA or HSA cards that are affiliated with Visa or MasterCard, you may use it to purchase your prescription eyewear from Coastal. Check out Coastal’s selection of designer eyewear here. Eyeconic is a company that is run by no other than vision insurance company Vision Service Plan (VSP) Vision Care. The great thing about Eyeconic is the fact that if you have VSP, Cigna Vision or MetLife as your vision insurance, you may be able to apply your vision benefits directly to your order online. Which means less money out of pocket for you. Eyeconic offers a good selection of designer eyewear ranging from Calvin Klein, Gucci, Lacosta, Oakley, Nike, and much more. Eyeconic has a 30-day no questions asked refund policy and a 1-year warranty on the frame for any manufacturer defects. The icing on the cake for Eyeconic is their warranty on your prescription lenses. If your prescription changes within 6 months, if you provide them with an updated prescription they will redo your lenses free of charge. With Eyeconic like we mentioned before if you have VSP, Cigna Vision or MetLife you will be able to enter your insurance information in and apply your vision benefits directly onto your order. Eyeconic accepts FSA and HSA cards that are affiliated with Visa or MasterCard as well. Eyeconic is the only in-network site for buying eyewear with VSP & MetLife Insurance. Visit their website here. 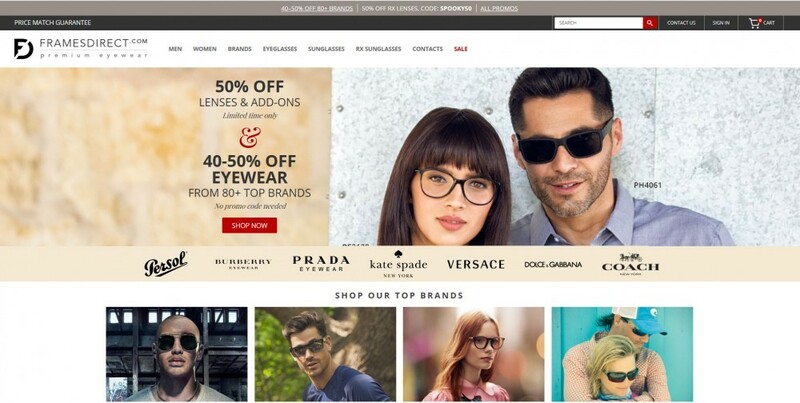 Eyeglasses.com is another leader in the online eyewear retail space and is a company that values quality over speed. They offer top notch customer service and has held an A+ rating with the Better Business Bureau for over 14 years. Eyeglasses.com has one of the most detailed selections of lens choices for you to choose from, and they are also one of the online retailers that carry crown glass lens material. They ship glasses worldwide and offer free shipping to many countries including the U.S., Australia, Hong Kong, Netherlands, New Zealand, Norway, and many more. Eyeglasses.com offers quite a large selection of frames for you to choose from with over 400 designer brands and 200,000 styles. They carry designer brands such as Giorgio Armani, Gucci, Nike, Oakley, Coach, Burberry and much more. They offer a 30-day no questions asked refund policy, and your frames are covered by a manufacturer warranty for defects. Eyeglasses.com is an out of network provider and is not able to directly bill with your insurance, however, you may request an invoice to submit to your insurance for reimbursement. If you have FSA or HSA cards that are affiliated with Visa or MasterCard, you are able to use those just like you would any other credit card. Check out Eyeglasses.com’s huge selection of eyewear here. Frames Direct was actually one of the pioneers of the online retailer world. Originally founded in 1996, this company today offers one of the largest selection of authentic designer eyewear available on the internet, and currently ship their glasses to 140 different countries worldwide. Frames Direct has a huge selection of designer eyewear offering over 200 different brands including Ray-Ban, Dolce & Gabbana, Emporio Armani, Gucci, Juicy Couture, and much more. The one issue that I have with Frames Direct is their return policy has a restocking fee, as well as customer, pays for the return shipping. Therefore if you are going to be purchasing at Frames Direct, be sure you are 100% sure you want those frames and lenses before you make your purchase. Frames Direct is an out of network provider therefore if you have vision insurance, you will have to pay for your glasses and request an invoice from Frames Direct to submit to your insurance for reimbursement For those of you with FSA and HSA cards that are affiliated with Visa or MasterCard, you can use those at Frames Direct just like you would a normal credit card. Check out the selection at Frames Direct here. Whenever you are purchasing your prescription glasses on the internet always make sure to pay close attention to return policies. That way if you have any issues with your glasses you know how long you have to request an exchange or a refund on your glasses. Many retailers offer no questions asked returned policies, but the timeframe varies from retailer to retailer. Where do you currently look for your designer eyewear? Let me know below! If you have any questions or comments, don’t hesitate to leave them below and I will get back to you. I think finding glasses online is hard only because one does not know how the style will look on their face. Unless one tries it on in a store, knows the name and buys them online. I know that each frame makes the face look so different. From the apparel to the weight and even the age. Hi Linda, this is the reason why I usually recommend people to try on framesin store first and then shift to online to save money. Thanks for stopping by. Common issues people face when they want to order their glasses online. Prescription glasses are really expensive. 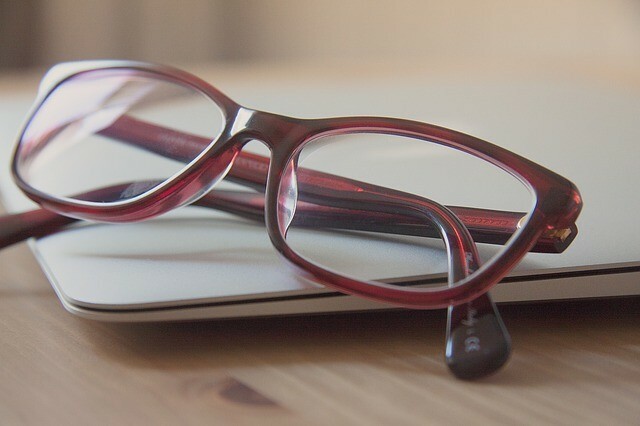 If you want to order eyeglasses online then choosing your frames is usually the most time-consuming part of the process. Try to follow the old way: Go to your local opticians, get an eye exam, choose frames and lenses. Great article, thanks for sharing. I am so happy with your website and the contents you have on your site. You have built a very good niche around eye glasses. I haven’t come across anyone as yet with the same niche you have. Maybe there is but this is the first time for me. It is very well constructed with the layout and the information you have provided will help people come to visit your site and getting the help they need that you are providing. I have a daughter who wear glasses and have taken her to her optometrist to check her eyes and getting her prescription for her glasses is too quite expensive. I will recommend her to visit your site in the near future. Thank you and I wish you the very best in the years to come. Hi Sila, thanks for stopping by! You can definitely save some money by making your purchase of her glasses online, there are many reputable online retailers that can provide you with a lot of savings. Take care!